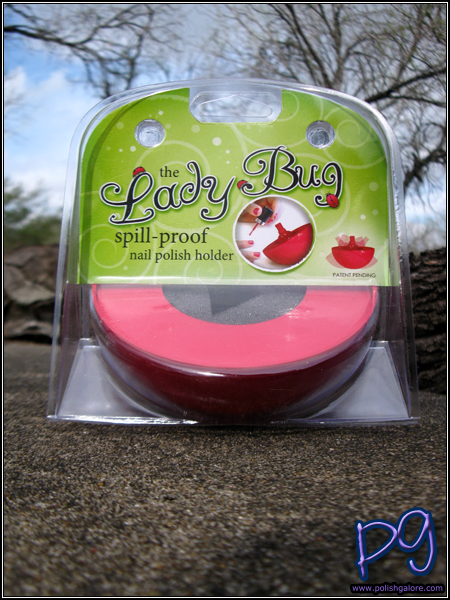 Have you heard about the Lady Bug Nail Polish Holder yet? 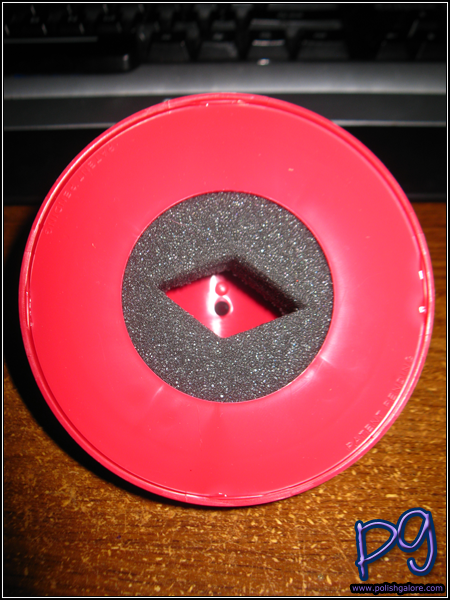 It's a high-strength, durable plastic half-circle holder that has rubber grips on the bottom to angle the holder so you can keep your hands free when polishing. Now, I normally don't need to worry about holding my nail polish until I get to about half a bottle. Then I'm constantly having to tilt the bottle to get to the awesome nectar inside. 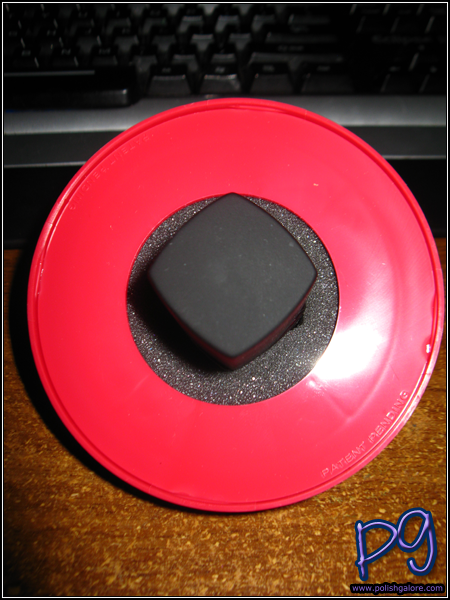 You can see there is a foam insert that is diamond shaped. This helps you fit a variety of nail polish bottles with relative ease. 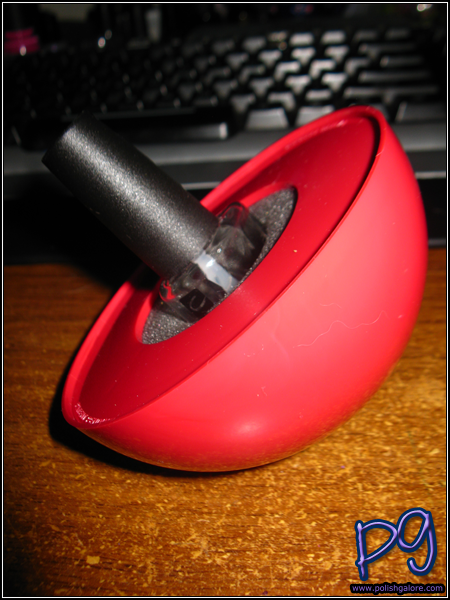 It holds smaller bottles like CND without any issue. Square bottles like Dr.'s REMEDY work well too. The only bottle in my stash that didn't fit was deborah lippmann. The large square was just too wide for the pre-cut foam, and while I could somewhat wedge it in there, I was worried about tearing the foam. Here's an "action shot" of my CND Air Dry properly tiled in the bottom. 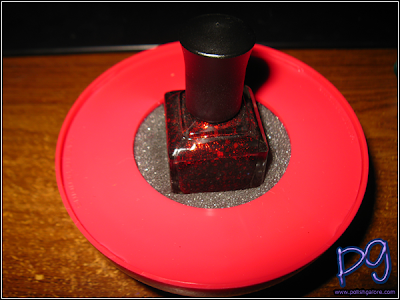 The one feature that I wish this had was some kind of weight to help keep the holder in place. 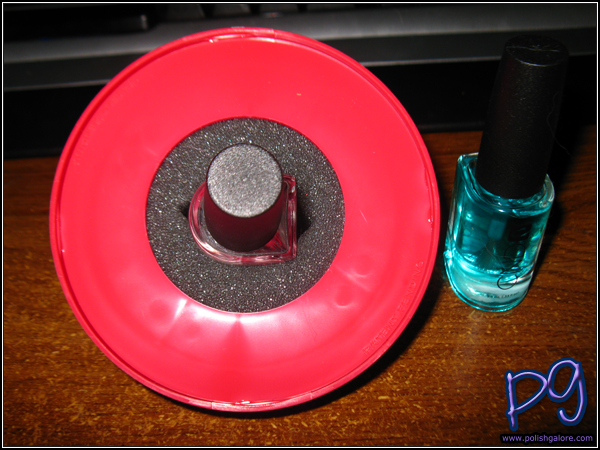 While the rubber grips keep it tilted, more than once, I accidentally knocked the holder from the slanted position (above) to the middle rubber grip, so that the nail polish bottle was standing upright. It didn't topple over or anything. Currently, I'm holding nail art sticks in my holder as I'm working on a super secret project, and I have been using it when doing a full manicure and need to get to the last 2/3rds of my bottle. You can purchase the Lady Bug Nail Polish Holder at Amazon for $7.95. They are looking to be more widely available in the coming year - so ask your favorite salon about it! ;] You can follow Lady Bug Nail Polish Holder on Twitter. It's really useful too, I promise. It helped me out in my upcoming glitter manicure! That's awesome! I need one now. 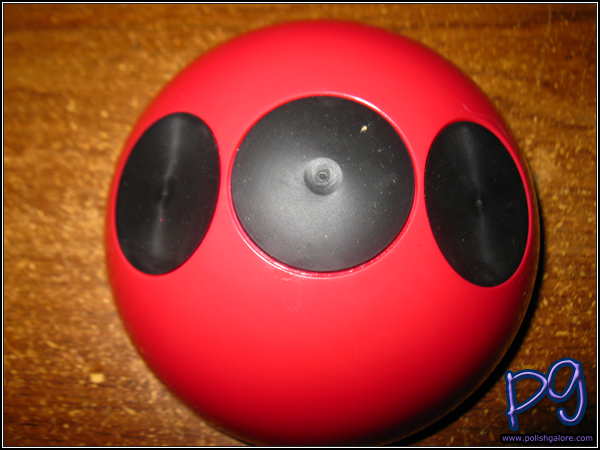 I love my LadyBug Holder :) So handy with a curious toddler hovering around my table, haha! I tried to convince Drew that nail polish is like, boy poison or something. It didn't really work - he loves looking at all my new colors. It is very feminine and classy!! !